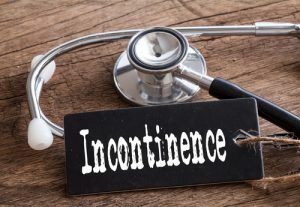 Do You Need Urinary Incontinence Treatment? UASB is Here to Help! Many adults suffer from urinary incontinence across the globe, but not many of them seek any form of urinary incontinence treatment. Whether it is due to embarrassment over their lack of bladder control or the fact that they do not think there is a treatment that will help them, many people choose not to bring this issue up to their doctor. There is no reason to be embarrassed and there are treatments available to help resolve incontinence in women and in men. Don’t let your urinary incontinence rule your life – find a treatment that works best for you. To put it simply, urinary incontinence is the leaking of urine from the bladder that you can’t control. There are many factors that can cause incontinence, a few of them being aging, pregnancy and menopause for women, and prostate conditions for men. Constantly needing to be near a bathroom and worrying about the possibility of a leak can decrease the quality of your life. Whatever the cause is for your inhibited bladder control, it’s important to talk to a medical professional about urinary incontinence treatment, because there’s no need for you to suffer through a condition that is easily treatable. There are different types of urinary incontinence, and knowing which type that you have can help you find the right treatment. Stress Urinary Incontinence. This type of incontinence is due to weak pelvic floor muscles letting urine escape the bladder. Women experience this more than men, usually after pregnancy or as they age. A treatment to remedy this type of incontinence is Kegel exercises, which strengthen the muscles in the pelvic floor. Overactive Bladder (OAB). Having an overactive bladder can severely affect the quality of your life. Your brain is constantly telling your bladder that it’s full and it’s time to empty, even when there’s no urine stored. Treatments to resolve OAB include lifestyle changes, medications that relax the muscles in the bladder, and in severe cases, even surgery. Overflow Incontinence. This type of urinary incontinence is where the body produces more urine than the bladder can hold, causing leaks to happen. This condition is more likely to affect men that have pre-existing prostate issues. Talk to your doctor about the right kind of treatment for overflow incontinence. There is no reason to continue to suffer from any of these conditions. Urinary incontinence treatment is widely available to you, so do not delay. If you want the best care and expertise in dealing with bladder control, trust in Urology Associates of South Bend. Call and schedule an appointment today at (574) 234-4100.